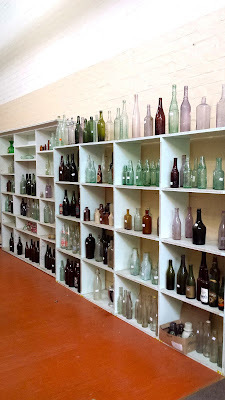 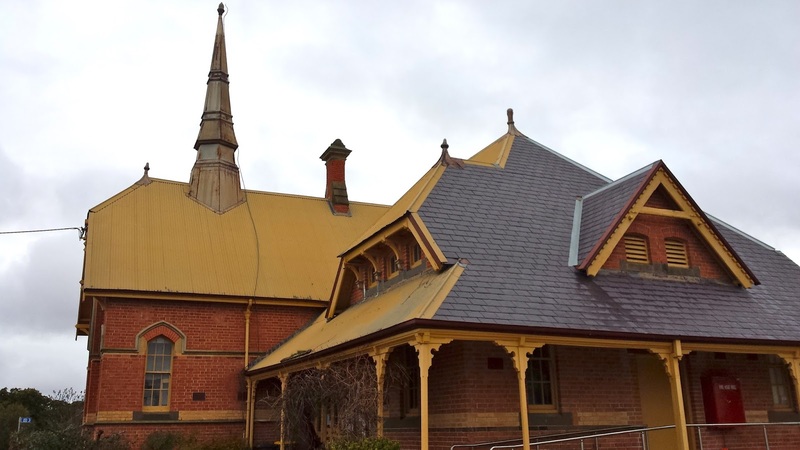 The former Clunes Primary School, turned Knitting Mill, is now home to the Lee Medlyn Home of Bottles. 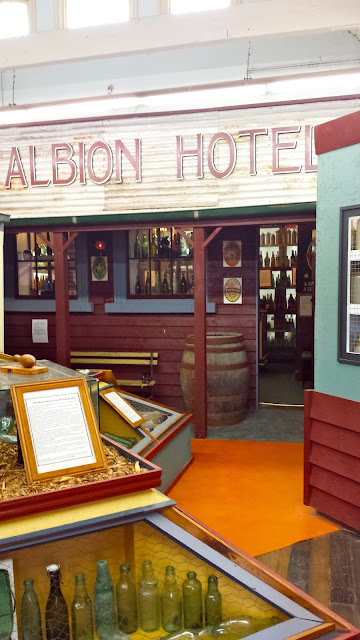 Medlyn bought the house to store his bottles in and then bequeathed the collection to the town. 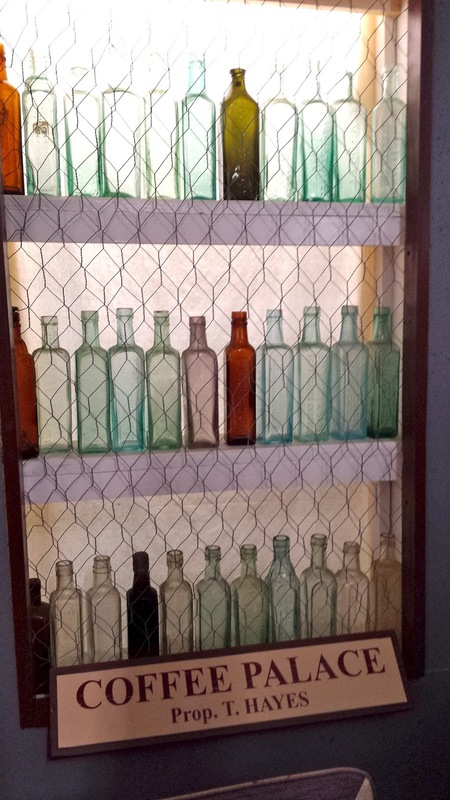 A Committee was set up to look after the collection of over 6,000 bottles. 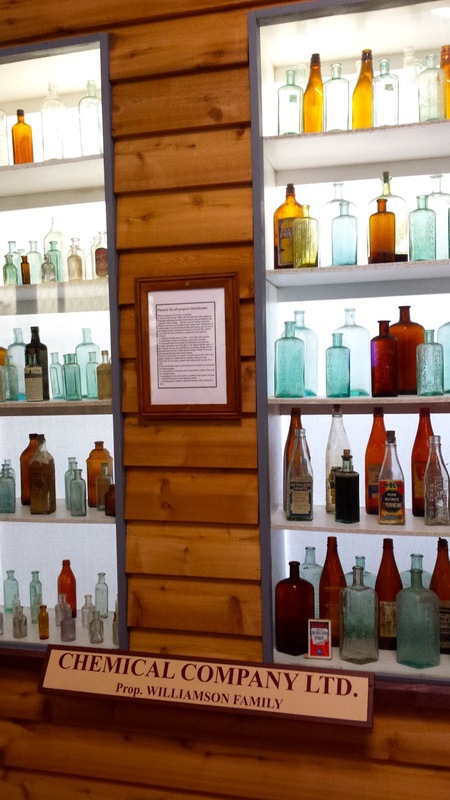 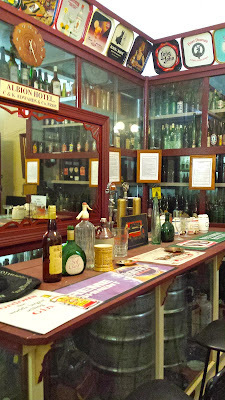 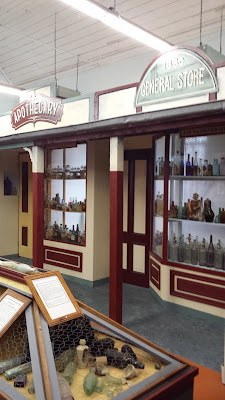 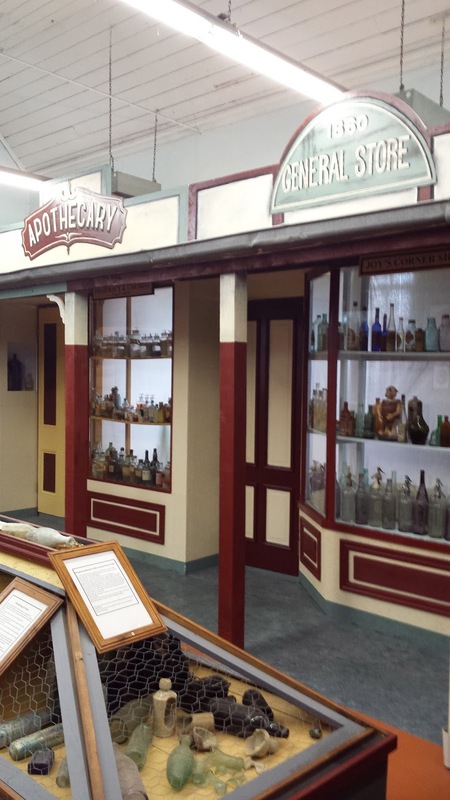 The vast collection of bottles once contained liquids such as chemicals, poisons, soft drinks, cordials, coffee, dairy products, beer, spirits and medicines. 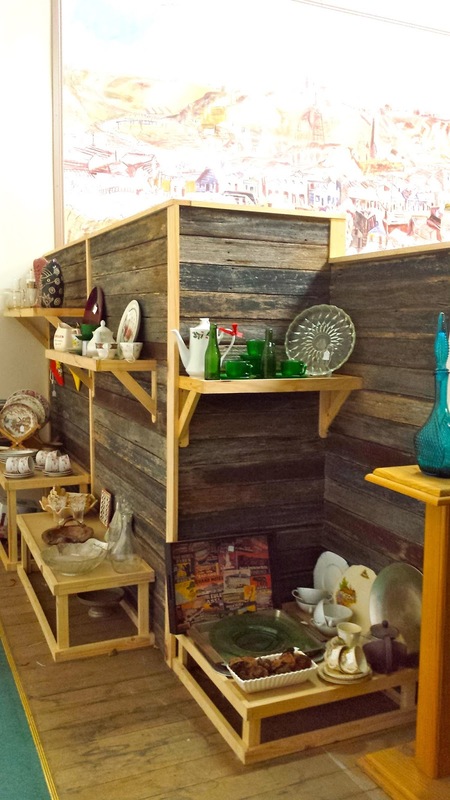 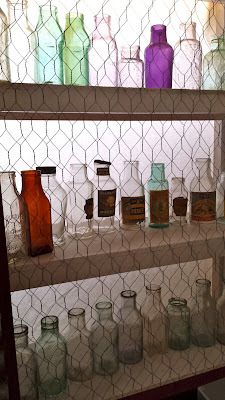 The historic collection is a great glimpse into the past, when glass was widely used as a storage vessel and we lived in a mostly non-plastic world. 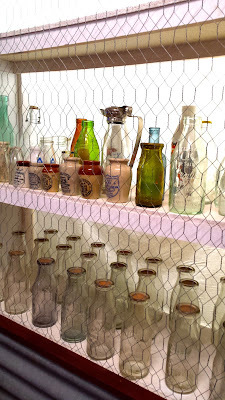 Rows and rows of beautiful coloured glass, some etched with business names or intricate designs, fill the shelves. 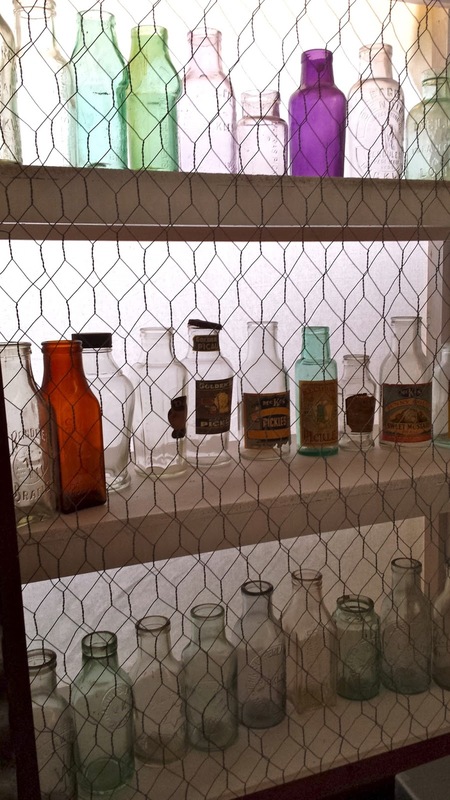 There's a section off the foyer, where bottles, jars and other assorted items can be purchased. I can see that this could be the start of another collection for interested folks. 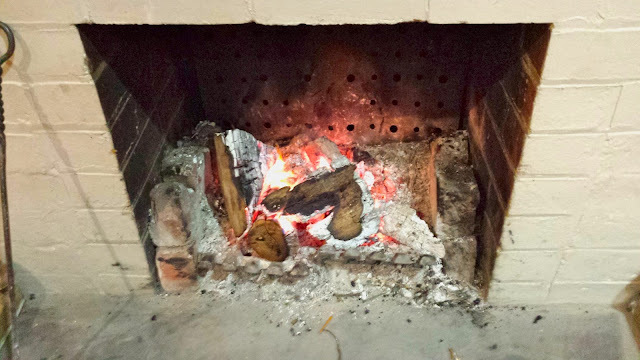 The cosy fireplace is the perfect spot to warm up, before heading out into the crisp Autumn air.